Anhydrite (calcium sulphate) screeds are based on gypsum as a binder, and need to be treated slightly differently than ordinary sand/cement screeds. Anhydrite screeds are not resistant to significant exposure to water and there is a potential reaction at the gypsum/cement interface, which can cause destructive expansion. Adequate priming is therefore required and is also advised, as a precaution, if the type of screed is not known. It is important that anhydrite screeds are fully dried before covering, as gypsum is sensitive to water. Fully dry is defined as a moisture content of less than 0.5%. BS8204-7:2003 recommends 1 day drying per mm thickness, up to 40mm and then a further 2 days for each mm above 40. For example, a 50mm screed will take approximately 60 days in normal conditions (20°, <65% RH). BS8204-7:2003 also suggests that accelerated drying of anhydrite screeds is possible after an initial drying period of at least 7 days - contact the screed manufacturer for advice. 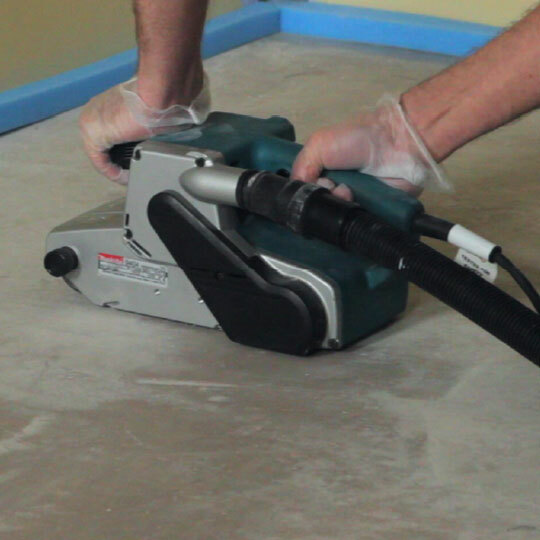 The surface should be free from any loose or friable material (anhydrite screeds normally require surface laitance to be sanded off within a week after laying – if this is not done the bond could be weak). Weber would advise that any laitance is removed using a 60 to 65 grade sandpaper before any dust is removed with a vacuum. weber PR360 should be mixed at 1 part primer to 3 parts water and applied to the surface of the screed with a roller. Complete coverage of the surface is essential. The anhydrite screed should be primed repeatedly in opposite directions (i.e. at 90°), until no more primer is absorbed. Allow the surface to fully dry for an hour before tiling (the primed surface will still allow water vapour to escape). Protect the surface from traffic/damage until the finish covering is applied. Once the surface is suitably prepared, the specification for levelling compounds, adhesives and grouts is dependant on the size and type of tiles, the joint width, the presence of other factors, such as underfloor heating systems, and the function of the area to be tiled. Rapid drying levellers and primers may be preferred since these will chemically combine more of the gauging water, so there is less chance of any effect on the screed. Any construction or movement joints in the screed should be carried through the tiling layer and movement joints should be allowed for as described in BS5385-3:2014. 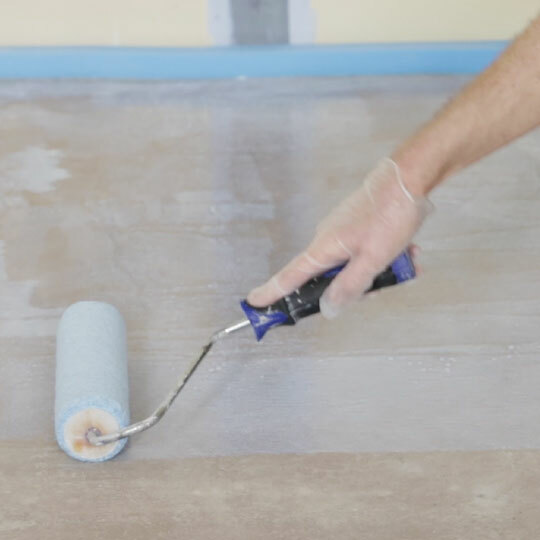 Weber would suggest a flexible tile adhesive, such as weberset rapid SPF with Low Dust Technology™ is used, utilising a solid, 3mm bed of adhesive. If tiles are larger than 600mm x 600mm then we would recommend using an S2 adhesive such as weberset pro lite rapid.